Venous thromboembolism (VTE) is the second most common cause of death in hospitalized patients with cancer, and cancer treatments may exacerbate VTE risk. 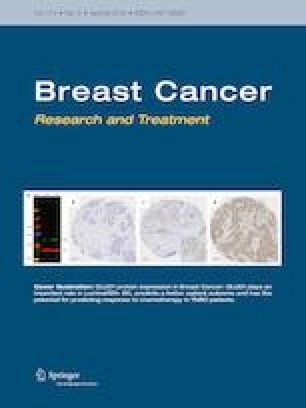 Patients with hormone-receptor-positive breast cancer usually receive adjuvant endocrine therapy for 5 years or longer. The aim of this study is to examine VTE risk following long-term use of aromatase inhibitor (AI) compared with tamoxifen use among breast cancer survivors. A prospective cohort of 12,904 postmenopausal women who were diagnosed with a first primary hormone-receptor-positive breast cancer and free from previous cardiovascular disease or VTE from 1991 to 2010 were followed through December 2011. Data elements were captured from the comprehensive electronic health records of a large California health plan, Kaiser Permanente. Women who developed deep vein thrombosis (DVT) or pulmonary embolism (PE) were identified as having VTE. We calculated person-year rates of VTE by endocrine therapy groups. Multivariable Cox proportional hazards models were applied to assess the association between time-dependent endocrine therapy and VTE risk. We identified 623 VTE events during a median follow-up of 5.4 years. The crude rates were 4.6 and 2.8 per 1000 person-years for DVT and PE, respectively. Compared with tamoxifen use, AI use was associated with at least 41% lower VTE risk (adjusted HR 0.59, 95% CI 0.43, 0.81). Greater risk reductions in AI users were seen in women who also underwent adjuvant chemotherapy. These findings supplement existing evidence to inform treatment decisions that balance cancer control and cardiovascular toxic outcomes. The online version of this article ( https://doi.org/10.1007/s10549-018-05086-8) contains supplementary material, which is available to authorized users. This study was funded by the California Breast Cancer Research Program (Grant#19OB-0201). The funding program was not involved in study design, data collection, analysis, data interpretation, report writing, nor in the decision to submit the paper for publication. Only secondary data analyses were performed. The KPSC Institutional Review Board reviewed and approved this study.